The good news of Jesus is that Jesus welcomes sinners. Sinners like you and me. But when you ask why or how Jesus welcomes sinners, distortions abound. Here are three. Theological liberalism: Jesus welcomes sinners because no one is really a sinner. Antinomianism: Jesus welcomes sinners because sin doesn’t really matter. Legalism: Jesus welcomes sinners because they stopped committing big sins. But the gospel says: Jesus welcomes sinners despite their sins to make them sin no longer. Common to all three distortions is to downplay sin. (Yes, legalism above included.) It’s tempting to do so, because we don’t want to deal with the problem we cannot handle. But by downplaying sin, we make Jesus irrelevant and unnecessary. Or do we? Can we? 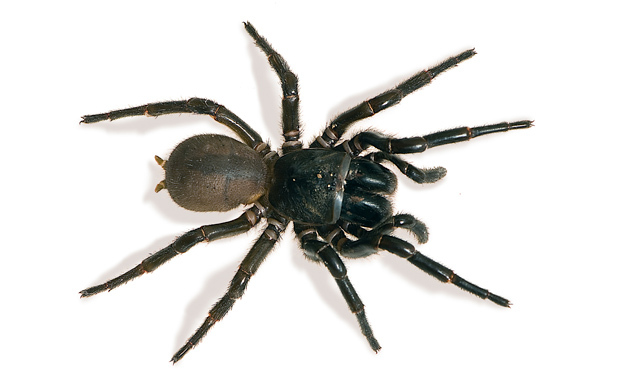 By downplaying funnel web-spider bite, can I make the anti-venom irrelevant and unnecessary? By downplaying poverty, can I make social services and charity organisations irrelevant and unnecessary? Actually, I could, only to the detriment of the spider bite victim (in the case of funnel-web spider bite) and to the detriment of the whole society (in the case of poverty). We are not overplaying the funnel-web spider bite when we urgently apply the anti-venom to someone who’s bitten. We are not overplaying the poverty when we make social services and charity organisations available for those in need. It is simply a loving thing to do. It’s the human thing to do. Likewise, we must not and dare not downplay sin. When we do so, it is to the detriment of human lives by making Jesus look irrelevant and unnecessary. But Jesus came to rescue us from sin. We all sin. And sin is too big a problem for all of us. We have a real problem, and we need a real solution. Or, rather, a real saviour. And his name is Jesus. Against theological liberalism, the gospel says, Jesus welcomes sinners, and they are really sinners. Against antinomianism, the gospel says, Jesus welcomes sinners to make them sin no longer. Against legalism, the gospel says, Jesus welcomes sinners despite their sins, big or small. Gospel: Jesus welcomes sinners despite their sins to make them sin no longer. Question: "Suppose you have the peace of God. Will not that quiet you?" Answer: "No, I must have the God of peace; as the peace of God, so the God of peace; that is, I must enjoy that God that gives me the peace; I must have the Cause as well as the effect; I must see from whence my peace comes and enjoy the Fountain of my peace, as well as the streams of my peace." At one level the problem is indeed rejection of God's law. But underneath lies a failure to understand grace and ultimately to understand God. True, his love for me is not based on my qualification or my preparation. But it is misleading to say that God accepts us the way we are. Rather he accepts us despite the way we are. He receives us only in Christ and for Christ's sake. Nor does he mean to leave us the way he found us, but to transform us into the likeness of his Son. Without that transformation and new conformity of life we do not have any evidence that we were ever his in the first place. At root then antinomianism separates God's law from God's person, and grace from the union with Christ in which the law is written in the heart. In doing so it jeopardizes not simply the Decalogue; it dismantles the truth of the gospel.